Vintage 1970s hand-made dress with full, flirty skirt. I'm always saying, you can't tell anything about a dress (especially) until you try it on - and this is a case in point! Folded up in the trunk, it looked like nothing much; but when it's on it has the ability to really make you feel special! Made from a gorgeously floaty fabric, and nicely but not over fitted, it's the perfect dress for a pub date, or a night out with the girls! It's nicely fitted from the waist through towards the hips, then flares out with a full, flirty skirt! Sleeveless, it has a round neck, slightly higher at the back - very easy to wear! 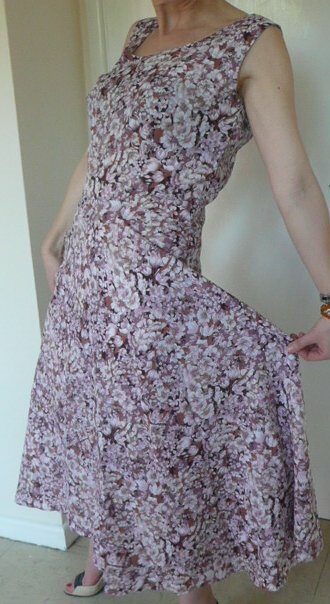 Handmade, I'm pretty certain it's never been worn - for one reason at least, that the hem hadn't been finished! (I have just turned the raw edge over, if it needs shortening I'm afraid you'll have to do it yourself!) The fabric is a silky man-made, in various pinky-brown shades, absolutely covered with flowers! 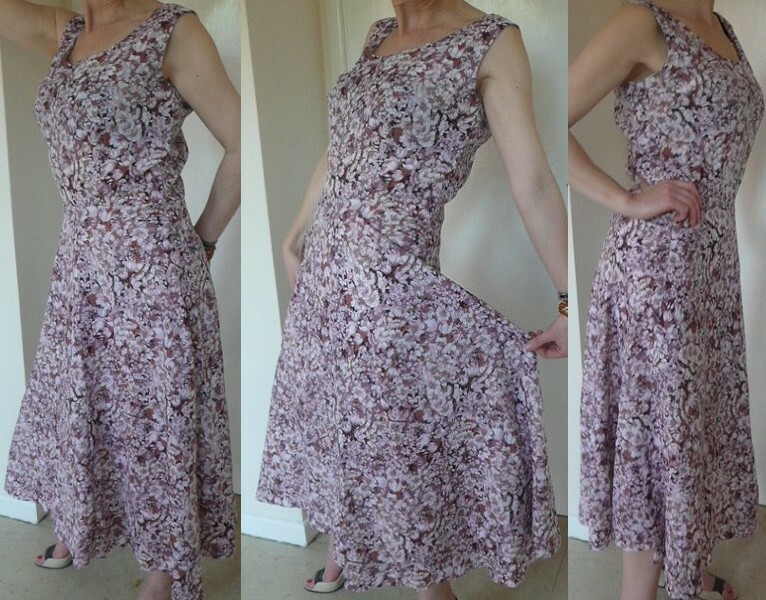 It's about a modern UK size 12, measuring approximately bust 38 inches (96.5 cms), waist 32 inches (81 cms), hips free, in unworn condition and just lovely!